Actual patient, before and after Botox. Image credit Allergan. Botox lasts 3-4 months in most people. Botox and fillers are the most commonly performed non-surgical cosmetic procedure performed in America. They have risen to extreme popularity because they are fast, effective, and can look great when performed by a skilled practitioner. Botox and fillers are used to soften the wrinkles of the face, fill in areas of volume loss, and prevent and reverse signs of aging. Botox (or other neuromodulators like Dysport or Xeomin) smooth out the muscles of the face and neck. This technique is especially powerful for erasing forehead wrinkles, crows feet, and furrows between the eyes-- all of which can make a person look upset or angry even when he or she is not. Botox can also be used to treat hyperhydrosis or excess sweating. Fillers, including Restylane, Juvederm, Radiesse, Sculptra, and Belotero, among others, are FDA approved biomaterials that add subtle volume to the face. They can be used to fill in deep wrinkles or creases, such as the ones that appear in the nasolabial folds (the lines around the mouth), marionette lines (the lines near jowls), and the glabella (the lines between the eyes). Fillers can also be used to augment the fullness of the lips and fill in the hollow of tear troughs. Dr. Devgan has her patients' busy schedules in mind when performing Botox and filler treatments. The first time you try Botox or filler, plan to spend 30 minutes in the office to get an in-depth facial analysis, recommendations from Dr. Devgan, and your treatment. Subsequent visits can be as quick as 10 minutes to accomodate your lunch break or other obligations. Botox and filler treatments sting a bit because they involve a needle prick. Most of our patients find that Dr. Devgan's technique is relatively quick and tolerable. If you are nervous about pain or feel that you would like a bit of extra pain relief, we can use numbing cream on your skin, pretreatment with a cold compress, a local anesthetic nerve block, a custom-made proprietary vibratory pain relief device, a product that contains numbing medicine, or any combination of those. Generally speaking, Botox lasts approximately 3-4 months, depending on how expressive you are and how much you move your facial muscles. Hyaluronic-acid based fillers, such as Juvederm, Restylane, and Belotero last up to a year. The exact amount of time they last depends on how much the area that is injected moves, so lips may last a bit less time (9-12 months), while tear troughs under the eyes may last a bit longer (12-14 months). Voluma, the newest long-lasting hyaluronic acid-based filler that is amazing for cheekbones, chins, temples, and facial sculpting, lasts 1-2 years. In some patients, particularly in those who have received a few treatments, results can last even longer, which may be a result of the body regenerating more collagen over time. 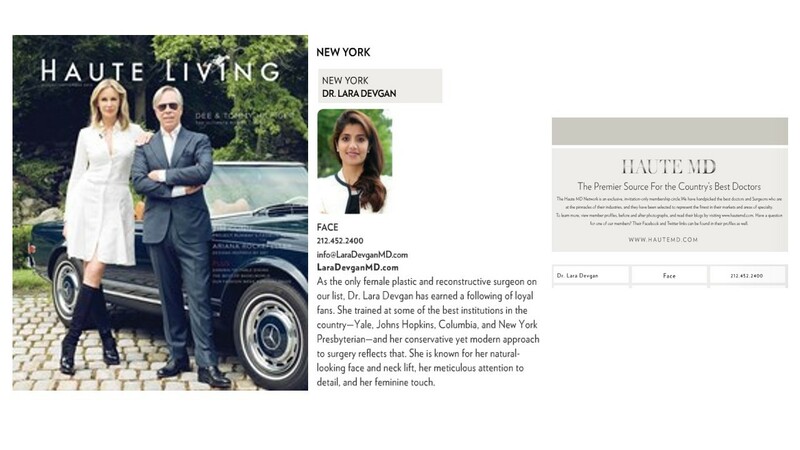 If you are interested in an injectable treatment with Dr. Devgan, please set up an appointment by calling (212) 452-2400. Actual patient, before and after Juvederm to Nasolabial Folds. Image credit Allergan. Juvederm lasts 3-4 months in most people. Actual patient, before and after Restylane to lips. Image credit Restylane. Restylane lasts 3-4 months in most people.